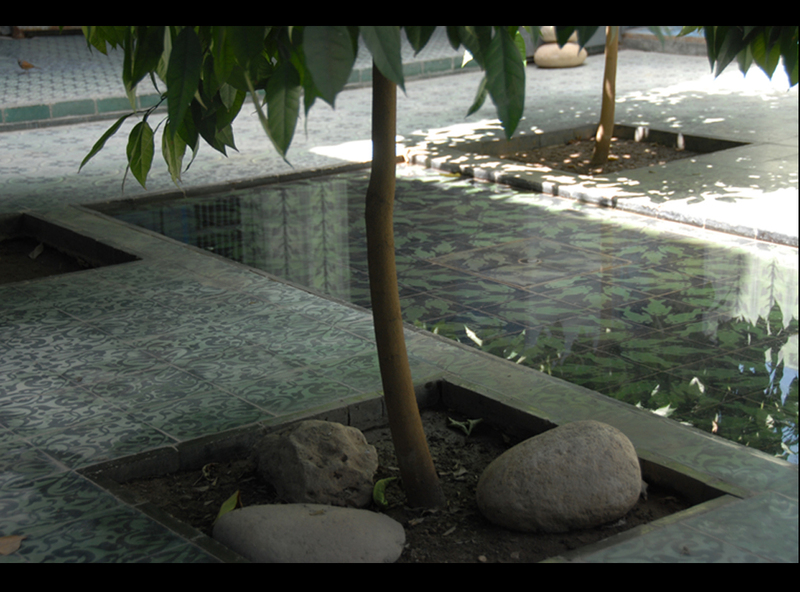 The surface layer, about 4mm thick, consists of a mixture of pigments, marble powder and fine cement. The lower layer consists of sand, grey cement and small gravels. 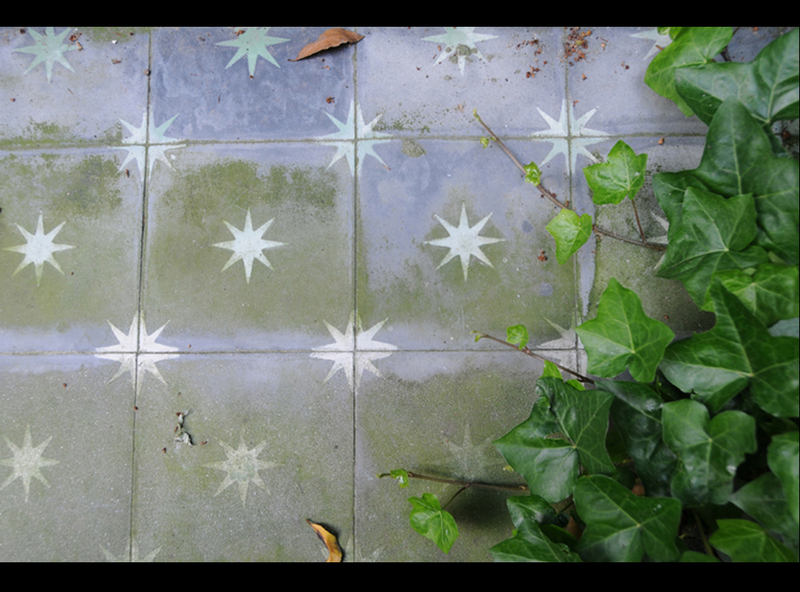 Our cement tiles look old without this patina being artificial. 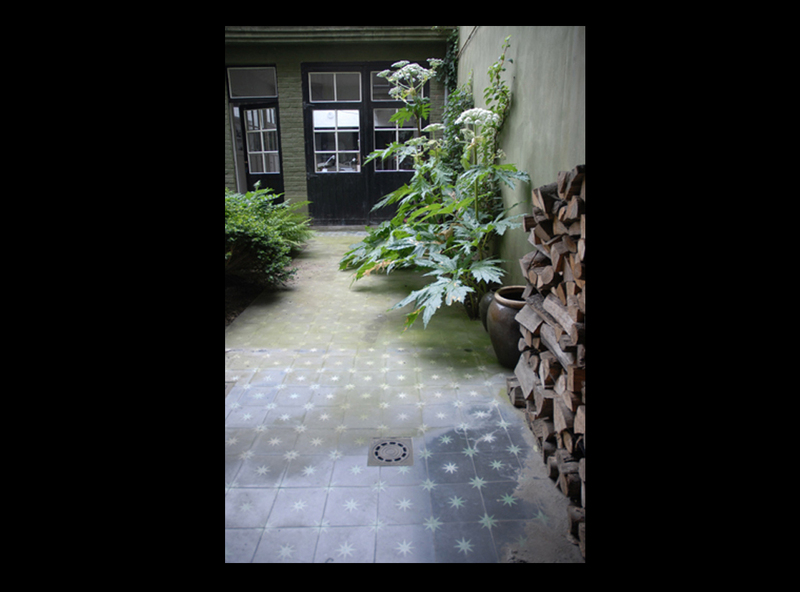 A cement tile that looks new is obtained with additives in synthetic products (polyester etc …), what we chose to discard for ecological as well as aesthetic reasons. 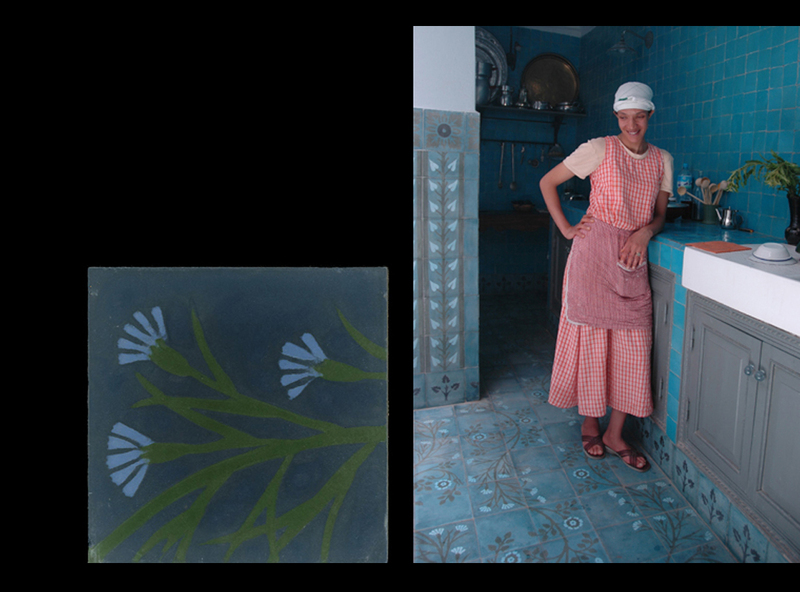 Cement tiles can be laid in bathrooms, kitchens and all living areas. In hot countries, they are laid outdoors. But they fear frost and even if in less temperate climates they can be installed in protected places with a good slope to prevent the water from stagnating, they will be quickly “patinated” by sunlight and acid rain. Below, an example placed in Brussels between four walls for twenty years. It has never been protected or even particularly maintained. Parts subjected to rain have become paler, mossy and less smooth. 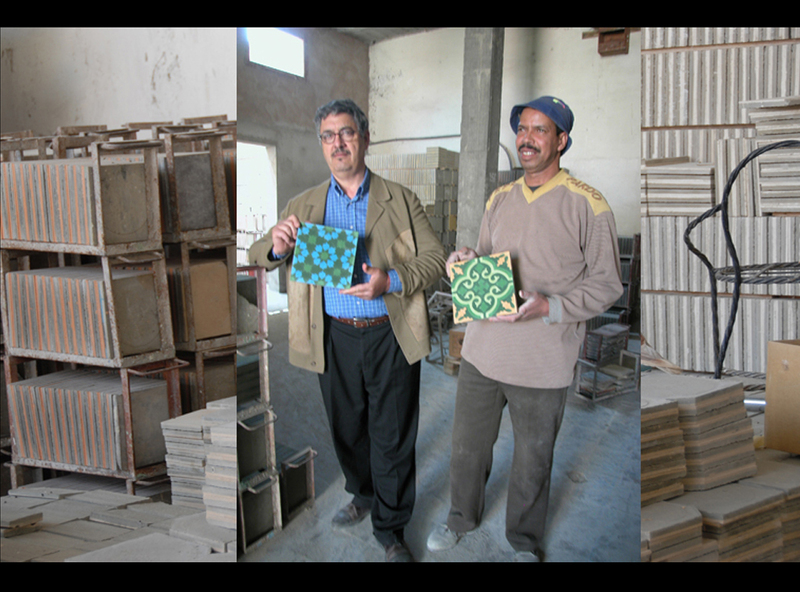 Our cement tiles are handmade in Morocco, in Marrakesh.